Easy. Engaging. Self-paced. Productivity Education. Learn to 'fast track' your way past the problems and straight to solutions! LESSONS, VIDEOS, TEMPLATES, QUIZZES, DOWNLOADS AND MORE.... START FOR FREE! At Fast Track Manage Learning, we teach you how to 'fast track' the way you manage projects, committees and IT services. Our courses are self-paced, low-cost, easy and engaging, combining how-to learning with take-action tools. And we offer 'Starter Courses' so you can start learning for free. Learn. Plan. Produce. Fast Track Manage Learning courses are easy to use, engaging and actionable. Each course is affordably priced, and when you register, you'll get lifetime access to all course components (lessons, videos, templates, quizzes, templates and more). And your one-time registration also gives you access to all future updates. And all our courses provide a free trial to get started. 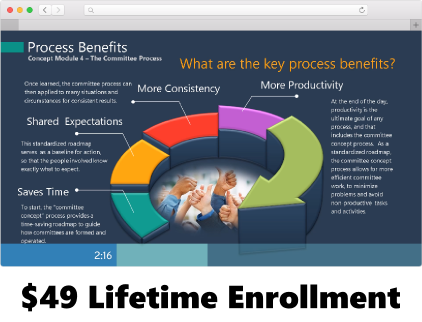 Fast track your way to on-time projects and satisfied stakeholders! 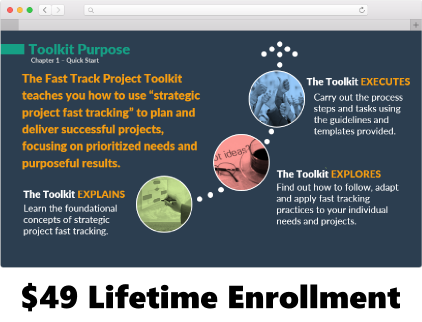 The Fast Track Project Toolkit teaches you how to use the fast track methodology to deliver timely, successful projects. You'll learn all about strategic project fast tracking, how it works and how to use it. 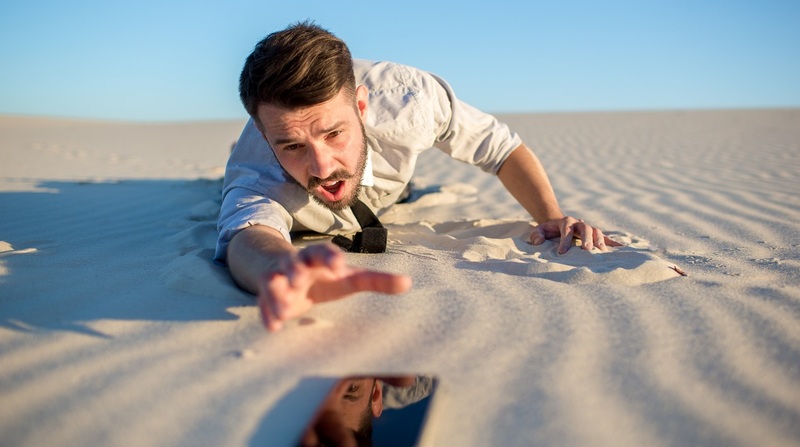 Fast track your way to value added I.T. and happy end-users! The I.T. 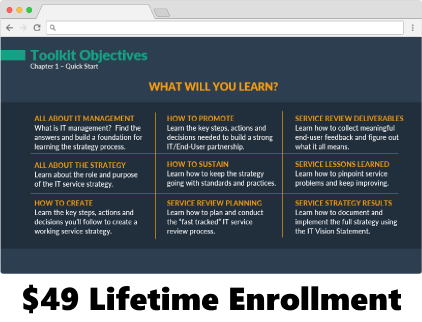 Service Strategy Toolkit teaches you how to use the fast track methodology to make your I.T. department more valued, relevant and responsive. You'll learn all about the service strategy process, how it works and how to use it. Fast track your way to committee purpose and productivity. The Project Committee Toolkit teaches you how to use the fast track methodology to organize and lead successful committees, for projects and related initiatives. You'll learn all about the "committee concept" process, how it works and how to use it. Keep up on our always evolving course updates and features. Enter your e-mail and subscribe to our newsletter.